Take a look around! Click on the links above! If you have any further questions, please feel free to contact me! My home church is Calvary Baptist Church in Watertown, WI. I attended Maranatha Baptist Bible College (now Maranatha Baptist University) in Watertown, WI. I graduated in December of 2005 with a degree in Biblical Counseling and a Minor in Music. Please see "Extra Stuff" under "About me" for information on how you can help support the ministry in Sweden! *Plus quite a few individual supporters! Feb-Mar 2006: Spent time in Stockholm, Jönköping, and Jokkmokk (in the arctic). God really used this initial trip to confirm His leading in my life! Aug 2009: Primarily spent this 2 week trip in Jönköping. I look forward to calling it home! Sep 2010: Spent about a month in Jönköping - looked at housing options, helped out in the ministry, etc. Jan 2011-present: Living in Jönköping! July 2014-present: Back in Sweden! April-July 2018: Scheduling Now for my 2018 Furlough! Tack så mycket = Thank you very much! 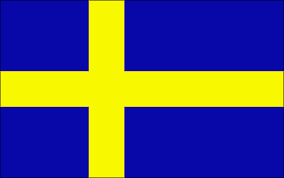 Check out these links to learn more about Sweden!